I know that the KJV got this one wrong for properly translated it is citizenship. One version translates it as business but the actual Greek word is politeuma which means the constitution of a commonwealth, form of government and the laws by which it is administered….just a little tidbit. So even though it is translated wrong in KJV, the first time I saw this it kinda stuck with me. Our conversation is in heaven. I would venture to say that, like me, sometimes I forget that God and Heaven hears me even if I don’t begin with, “Dear Father” and end with “Amen.” Pray without ceasing is an apt description of this. 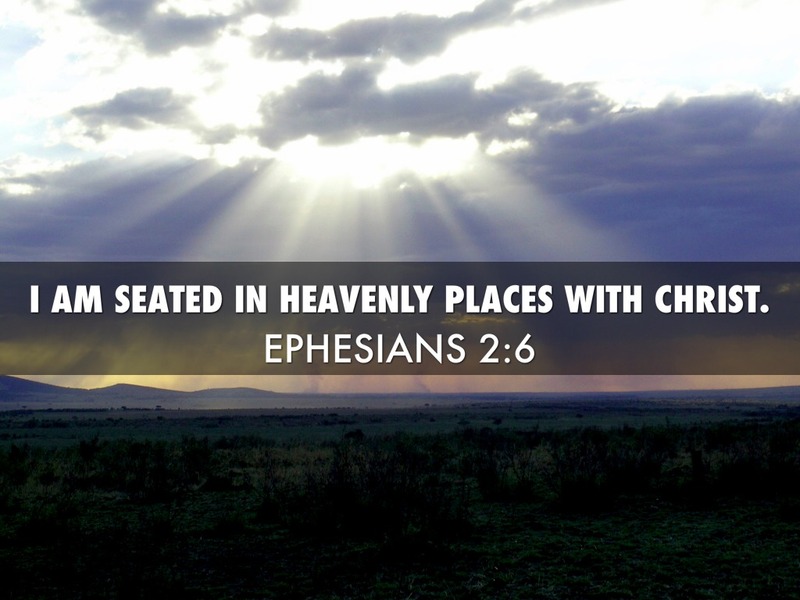 I believe, since we are seated together with Christ, that our speech is in constant contact with the spirit and heavenly realms and demonic realms. Since we are surrounded by a great cloud of witnesses (see Heb. 12:1) our ever word has a reaction to the things around us. Prayer is not performed by a formula but a protocol or vehicle which carries information. Please do not take this as condemnation or even conviction but an opportunity. An opportunity to realize what we function is as the Church. As re-presenters. The beauty of God with us is that we are invited into the current conversation in Heaven. The discussions of the Godhead. Because we are seated together, our conversations down here have an affect and effect up there where we are seated. That is why it is very easy to be in the spirit in one moment and the earthly in the next because only a thin veil separates the two. Like God, our words do become flesh and dwell among us sometimes negative and sometime positive. The Scriptures call it the fruit of our lips (see Heb. 13:15, Prov. 13:2). Fruit is meant to be consumed and bring a nourishment. If you’ve ever experienced a conversation with our Father you know what I mean. It’s nourishing, building, sustaining. When our conversation revolves around His conversations their is synergy which bring the power of His glory and releases fruit. We truly become yoked to God. Everything of ours is His and everything of His is ours. For God to release Kingdom here, we must know Kingdom there. I use “here” and “there” for the sake of observation. There is a thin line between the difference. In reality, our conversation and His conversation must perichoresis in order for fullness to manifest. For God to move in our midst, there must be covenant. Covenant is the protocol in which agreement releases Kingdom. It’s the difference between praying to God and with God (see Rom. 8:34). Conversing with a God who is here as opposed to there. How thin was the place in which Jesus literally saw what the Father was doing and did it? Second by second interdependence. Where God cause me to will and then I do will. Where God cause me to want and then I want. Where my daily second by second conversation is in heaven and His conversation is in me. The Holy Spirit is in us and with us (see John 14:16-17). May our conversation in Heaven perichoresis with the Father to manifest Kingdom promises in the here and now. This is so good!! You’re putting things into real terms that are easy to understand and wrap our brains around! !